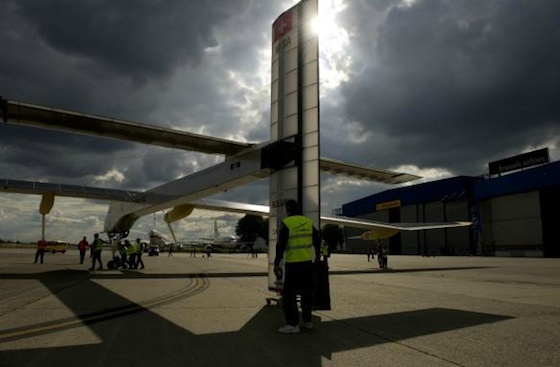 The Solar Impulse flies from Switzerland into the Moroccan sun. Just 107 years after the Wright Brothers became famous for successfully flying the world’s first airplane, Swiss pilots Bertrand Piccard and André Borschberg made history in July, 2010 by piloting the longest solar-powered flight at 26 hours, 10 minutes, and 19 seconds. Now they have announced plans to break their own record in May or June by flying their Solar Impulse plane from Switzerland to Morocco in preparation of their round-the-world trip scheduled for next year. 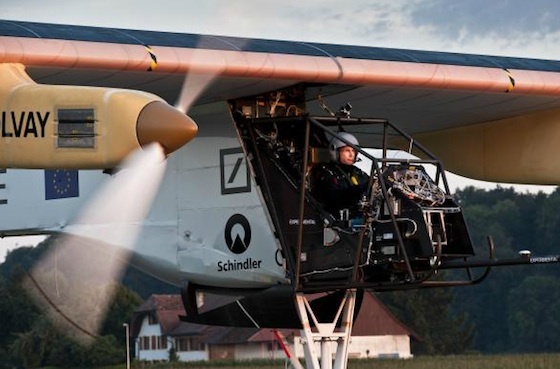 The 1,550 mile journey from Switzerland over the Pyrenees Mountains is expected to last 48 hours, which will be by far the longest solar-powered flight ever. This flight will not use a single drop of oil, and therefore it will produce zero harmful greenhouse gas emissions. 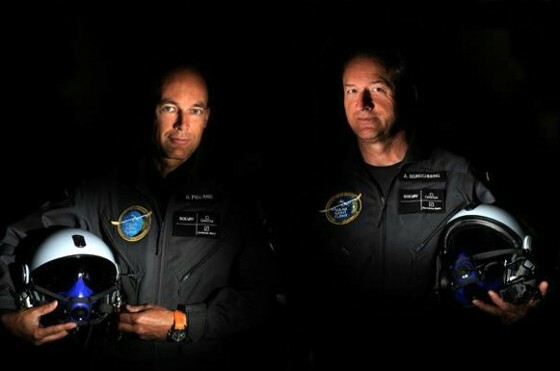 Piccard and Borschberg will take turns flying the plane and will switch seats during a brief stopover in Madrid. Once they arrive in Morocco, they will be welcomed by the Moroccan Agency for Solar Energy (MASEN), with whom they will share some of the technologies incorporated into the Solar Impulse which has the same wing span as an Airbus A340 and weighs the same as a family car. The Solar Impulse has the same amount of power as a scooter with four 10 HP engines. “Flying as far as this, powered only by solar energy will be excellent training for the round-the-world trip,” said Borschberg, co-founder and chief executive of Solar Impulse. Why did the pair spend seven years studying, simulating, constructing, and testing their Solar Impulse concept?